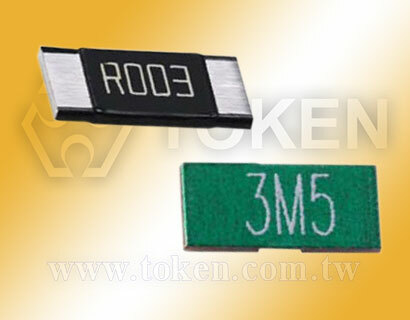 Token (LRC) Metal Strip Current Sense Resistors save space, time, and cost. 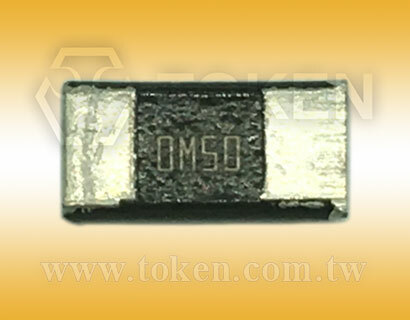 Providing design engineers with an economical low ohmic value, metal strip current sense surface mount resistor with high quality performance, Token Electronics LRC Series is suitable for applications in the automotive sector for applications that require high power handling (Up to 3W) and low resistance 0.5mΩ. From a certified supplier offering the automotive quality, Token's LRC Series gives all round superior performance for current sensing in lamp detection, mirrors, window lift, steering and seat controls. As a first instance, the LRC Series displays enhanced power handling capabilities, against other technologies. Thermal conductivity is important for chip resistors - little heat is dissipated directly into the air, and instead, is conducted out through the solder pads. 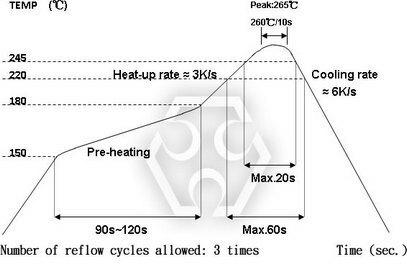 The heat generated from the specially constructed LRC resistor is more readily dispersed, therefore preventing localised heating, which contributes to TCR and thermal EMF errors, premature aging and possible scorching of the PC board. 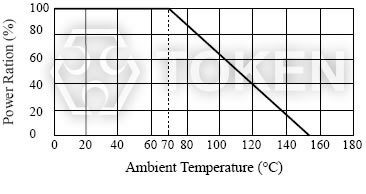 The current sensing resistors (LRC) are rated for ambient operation from -55°C to +170°C. 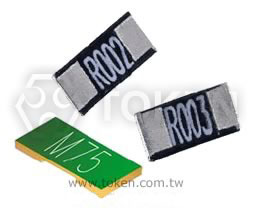 The LRC Series is RoHS compliant and lead free. Contact us with your specific needs. 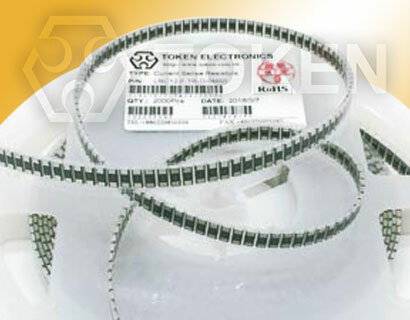 Downloads Complete Specification PDF Metal Strip Chip Current Sense Resistors. Without Laser Trimmed with Very Low Inductance. High Wattage Rating Up to 3W. Customized Resistance Available. Low TCR ±50PPM/°C, ±100PPM/°C. Resistance Value 0.5mΩ to 15mΩ. SWPS: DC-DC converter, Charger, Adaptor. For NB power management. For MB power management. For Monitor power management. 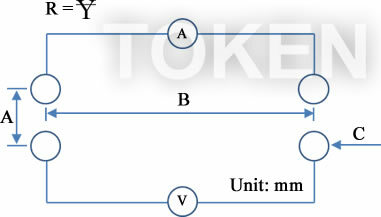 TOKEN is capable of manufacturing the optional spec based on customer's requirement. Green coating can't be work with wave soldering bath. Green coating can't be working with wave soldering bath. The cumulative tolerance of 10 sprocket hole pitch is ±0.2mm. A & B measured 0.3mm from the bottom of the packet.